Paul Martin was Canada's Minister of Finance from 1993 to 2003, then served a short term as Prime Minister. He spoke on Canada’s 1990s debt reduction strategy to a February, 2010 Public Services Summit organized by the Guardian in the UK, and Canadian newspapers report that he is being tapped by the Europeans for advice on fiscal matters. This is unfortunate since the Canadian example should prompt concern rather than blind imitation. Canada stands out among the OECD countries for reducing deficits and debts through deep and permanent cuts to social programs and public services, at great cost to working families. In most OECD countries (with the major exception of Japan) government debt levels stabilized or fell as a share of GDP from highs in the mid to late 1990s until the start of the Great Recession in 2008. The basic drivers of debt reduction are well-known. Debt will shrink if the economy grows faster than interest on the accumulated debt, and/or if deficits (revenues less expenditures) shrink due to spending cuts or tax increases. From a labour and progressive perspective, the desirable approach to debt reduction is to maintain strong economic growth at low real interest rates and, if necessary, to raise taxes in a fair way to pay for the needed maintenance and expansion of programs. For most OECD countries, debts stabilized from the mid to late 1990s without major overall spending cuts as economies recovered from the downturn of the early 1990s, and as interest rates fell from very high levels (though not by nearly as much as they should have done in the Euro area). For the OECD area as a whole, gross government debt as a share of GDP increased very slightly from a peak of 72% in 1998 to 73.1% in 2007, driven mainly by much higher debt in Japan. For the Euro area, debt shrank very significantly from 80% to 70.9% of GDP over the same period, and the US debt also fell by 10 percentage points of GDP from its peak in 1993 through 2007. At one level, Paul Martin's reputation as a deficit and debt slayer is well-deserved. As Canada's Minister of Finance, he (together with like-minded provincial governments) presided over a huge reduction in Canada’s gross debt, from a well-above average of 101.7% of GDP at its peak in 1996 to a well below average of just 65% in 2007. This was one of the most sweeping fiscal consolidations in the OECD, and certainly the largest of the G7 countries. A mixed bag of small countries also saw major debt reductions over roughly the same period – Australia, Finland, Belgium, Denmark, the Netherlands, New Zealand and Sweden. What makes the Canadian experience really stand out is very heavy reliance on spending cuts to eliminate the deficit and then run budget surpluses. In 1996, when Canadian debt peaked, spending was 46.6% of GDP, down a bit from a peak of over 50% of GDP in the recession of the early 1990’s. By 2007, spending was just 39.1% of GDP, or more than 7 percentage points down from the peak debt year. By contrast, spending in the OECD area as a whole fell by only 0.7 percentage points of GDP between 1998 and 2007, and fell by 2.6 percentage points in the Euro area. Canada relied more on spending cuts than most of the smaller countries mentioned above. Canada also stands out in that it did not rely at all on tax increases to lower the deficit and debt. Indeed, once surpluses emerged after 2002, corporate and personal income taxes were cut. Revenues as a share of GDP fell from 43.8% of GDP in the peak debt year to 40.7% in 2007. By contrast, revenues remained unchanged for the OECD as a whole, fell well under one percentage point of GDP in the Euro area, and rose a bit in the US as the Clinton Administration raised taxes quite significantly as part of its debt reduction strategy. 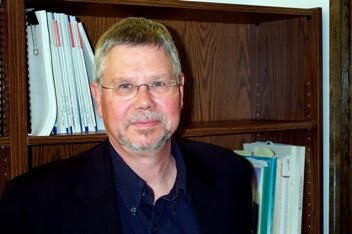 Putting the burden of debt reduction on social spending cuts rather than on taxation meant that the burden of Canadian deficit reduction fell on the lower end of the income distribution, and this was a significant factor behind the pronounced increase in Canadian income inequality over the 1990s. Between 1993 and 2001, the after tax and transfer income share of the bottom 80% of families fell as the share of the top 20% rose from 36.9% to 39.2%. Part of the decline in total Canadian government spending over the mid to late 1990s was cyclical, driven by a gradual fall in the national unemployment rate from a very high level. But by far the greater part came from a major retrenchment of the welfare state. As Minister of Finance, Paul Martin cut federal transfers to persons by 1.9 percentage points of GDP. With elderly benefits virtually untouched, most of the burden fell upon federally administered Unemployment Insurance. Access to benefits was restricted, and the maximum benefit was frozen in nominal terms for a decade. Today, Canada has one of the least generous unemployment schemes in the OECD. During the current downturn, only one half of unemployed workers have qualified for benefits, and the maximum benefit is just 60% of average earnings. The average unemployed worker qualifies for a maximum benefit period of less than 9 months. Martin also cut deeply into federal transfers to the provinces, which fell by 1.9 percentage points of GDP, 1992 to 2000. Most of the burden fell on social programs under provincial jurisdiction, notably public health insurance (which covers physician and hospital care) and welfare or social assistance which provides basic income support. The old formula under which the federal government paid one half of welfare costs was scrapped, and welfare rates were slashed in real terms in almost every province. Because of cuts to unemployment insurance and welfare, poverty rates remained at near recession levels through most of the 1990s and the incomes of the bottom half of households rose very modestly, despite falling unemployment. Martin's cuts stopped the Liberal government from implementing their promise to introduce a national child care and early learning program, leaving working families pretty much on their own in seeking care arrangements. Worse, his fiscal revolution and abdication of federal leadership in social policy made Canada a much more market-dependent society, moving it much closer to the US model. Between 1993 and 2002, the difference between the level of non defence program spending in Canada and the US fell from a huge 15.2 percentage points of GDP to just 5.7 percentage points. Martin and others argue that Canada was in such a fiscal mess in the mid 1990s that there was no alternative to deep cuts. However, as argued at the time by the labour movement and leading Canadian macro-economists such as Lars Osberg and Pierre Fortin (both past Presidents of the Canadian Economics Association), rising debt was not the result of over-spending but of a very deep recession, 1989 to 1991, exacerbated by the exceptionally high real interest rates inflicted by Bank of Canada governor John Crow in his search for the holy grail of zero inflation. The cyclically adjusted budget balance in the mid 1990s was the same as the OECD average (4.6% of GDP in 1995), and below that in the Euro area. Canada could, like other countries, have made much more modest fiscal adjustments to gradually return to balanced budgets as the economy improved. Taxes in the mid 1990s were a bit lower than the European average and could have been raised at least in line with US taxes under Clinton. Canada had no real trouble financing government borrowing which was and is overwhelmingly denominated in Canadian dollars. A key feature of Canada's deficit wars was the deliberate cultivation of fear. As documented by Canadian journalist Linda McQuaig in her book Shooting the Hippo, the media and officials fanned totally groundless fears of a debt default and even resorted to talking down Canada's debt standing in influential international circles such as the Wall Street Journal editorial board to create a sense of crisis. The macro-economic consequences of Canada's huge fiscal retrenchment were limited by a shift to easier monetary policy, and a significant depreciation of the Canadian against the US dollar. Canada grew somewhat faster than the US and most of Europe from the early 1990s to 2000 despite fiscal restraint. But unemployment was very slow to decline, falling from 11.2% in 1992 to a still very high 8.7% in 2000. Average real hourly and weekly wages stood still over this entire period, under-scoring how far the economy fell short of its potential. For working Canadians, the 1990s were experienced as a lost decade. I read from a loan modification lawyer bulletin that canada's restrictions with financing actually ate much of its chance to recover faster.